A city’s stormwater management goals are generally rooted in regulatory requirements for water quality under the Clean Water Act. City objectives and strategies vary based on the type and capacity of the sewer system, the risk of local flooding, and the need to comply with National Pollutant Discharge Elimination System permits. Some cities discharge their stormwater into pipes that also receive and convey wastewater or sanitary sewer flows. These types of systems are called combined sewer systems and are most commonly found in older cities; new developments do not build combined sewer systems. Combined sewer systems are typically connected to wastewater treatment plants that then discharge treated water into a receiving water body. However, during heavy rains, water flows can overwhelm the infrastructure capacity. When pipes and treatment plants are unable to manage the flows, water is discharged directly into receiving water bodies without being treated, in an event called a Combined Sewer Overflow (CSO). Depending upon an agency’s permit requirements with EPA, the number of CSO events that can occur at each overflow point varies. Many agencies that have CSOs exceeding EPA’s overflow thresholds are utilizing bioretention facilities and other green stormwater infrastructure (with and without gray storage facilities) to come into regulatory compliance by reducing the volume of stormwater runoff that reaches the combined system, and therefore reducing the frequency and volume of CSO events. 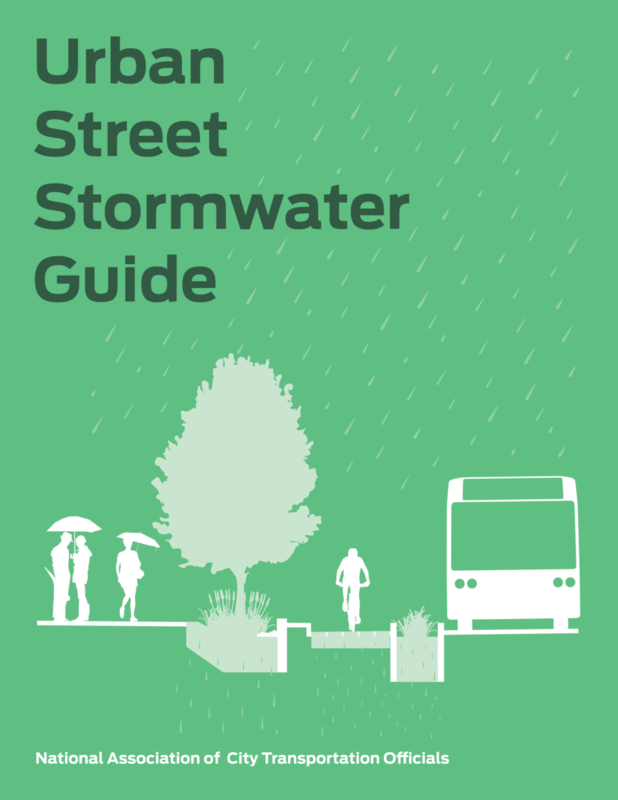 Current gray stormwater infrastructure guidelines require that stormwater runoff be collected and conveyed separately from sanitary sewer lines. In municipal separate storm sewer systems (MS4s), stormwater runoff is often discharged into receiving water bodies with limited or no water quality treatment. Most cities have MS4 Permits which require new development and redevelopment projects to install water quality treatment facilities and/or flow control facilities prior to discharging runoff into receiving water bodies. The permits may also require retrofits to existing sites or streets to treat and reduce runoff. 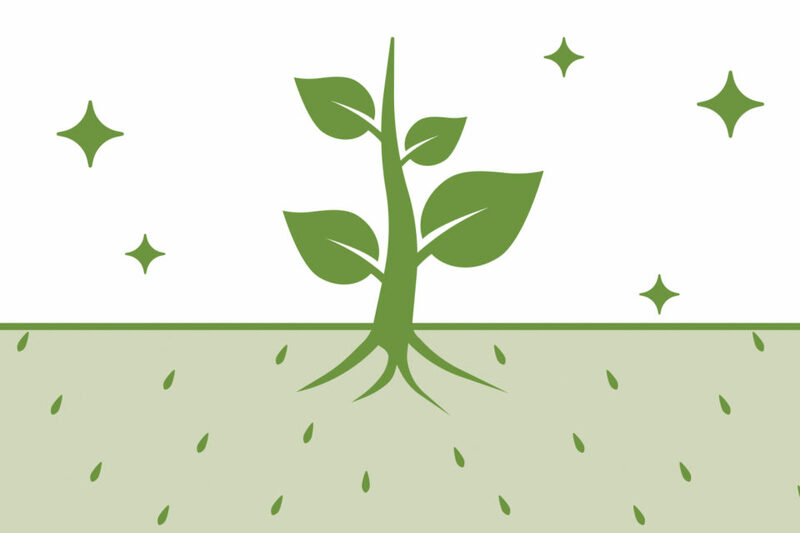 Green stormwater infrastructure is a cost-effective way to come into compliance with regulatory requirements, as well as creating other ecological and social benefits. EPA strongly encourages the use of green infrastructure to manage stormwater and meet federal water quality requirements.1 Green infrastructure projects are generally designed to complement gray infrastructure systems performing a combination of volume management, water quality improvement, and flood control. 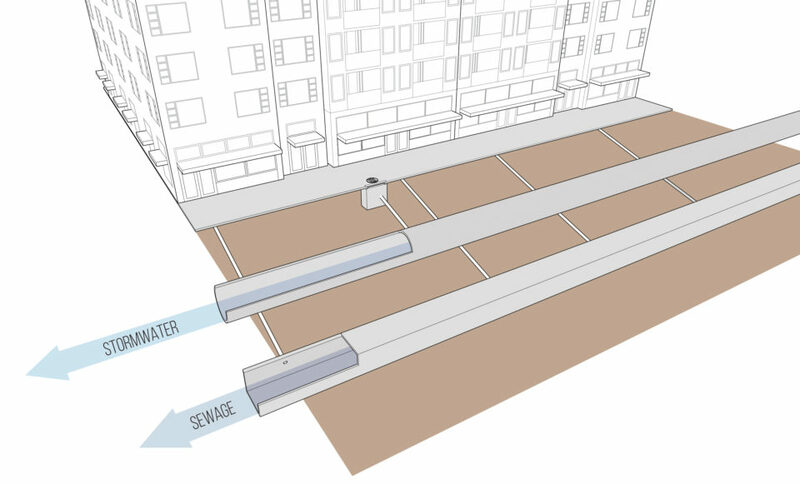 Since the volume of stormwater runoff increases as impervious surface area increases, the two major strategies related to volume management are to increase pervious area or to divert runoff into the green infrastructure system. Green stormwater infrastructure systems are designed to convert surface area from impervious to permeable, and reduce the volume of runoff that reaches the sewer system or downstream water bodies, reducing the burden on gray infrastructure systems and infiltrating stormwater runoff directly back into the soil. 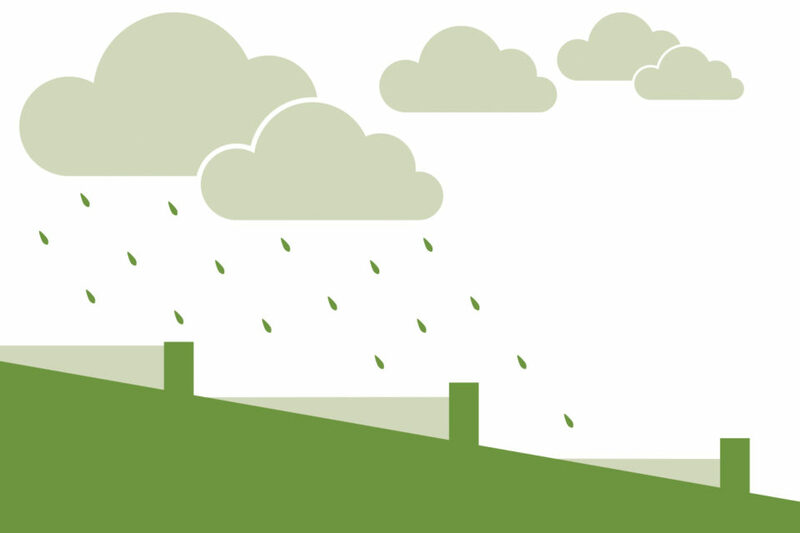 Green infrastructure projects and programs set specific stormwater volume management goals, such as the first inch of rainfall on a given area. Stormwater runoff from streets carries sediment, debris, chemicals, and pollutants (such as heavy metals from brake pads, oil dripping from engines, and grit from tires). Green stormwater infrastructure projects are designed to capture pollutants in runoff and prevent them from reaching downstream water bodies. Water quality treatment requirements vary based on the type of receiving water body (ocean, salt water bay, river, stream, wetland, or lake) as well as its existing condition. 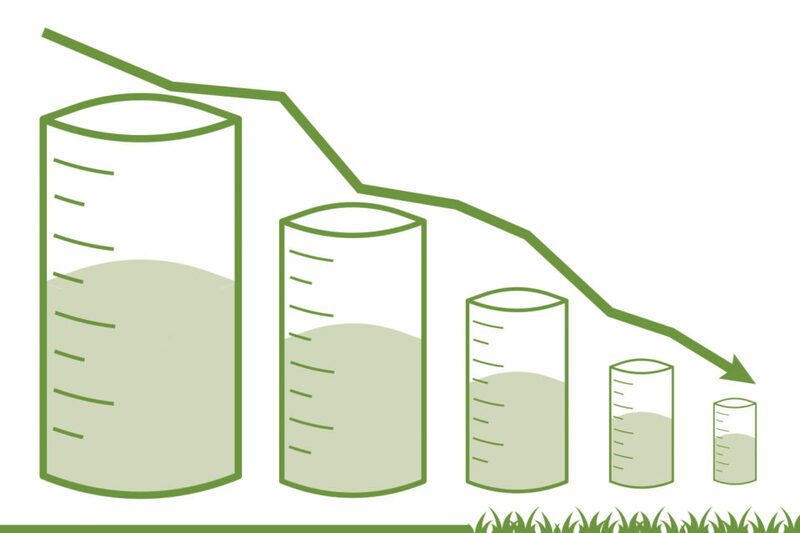 Green infrastructure projects often set a specific water quality goal, such as removing 80% of total suspended solids (TSS). Especially heavy rainstorms can cause combined sewer overflow events as well as flooded streets, parking lots, private property, and basements. 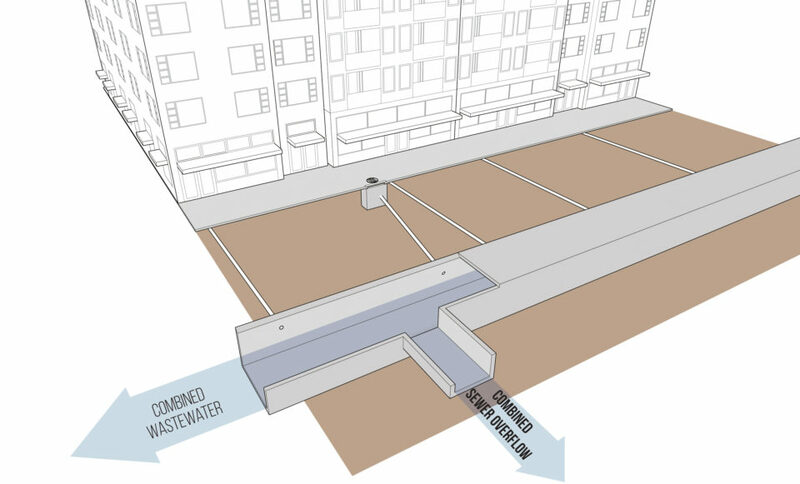 Green stormwater infrastructure programs aim to reduce peak flow rates and mitigate flooding. Cities may design to accommodate the high runoff flows and flood risks of a given peak storm event, such as a ten-year storm (a storm that has a 10% chance of occurring in any given year).